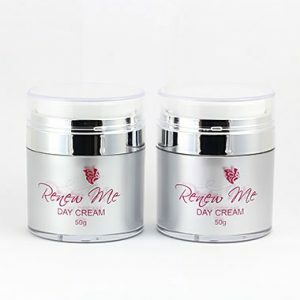 RENEW ME® Night Cream is a rich, nourishing cream that contains hints of lavender oil and when applied leaves you ready for a peaceful nights sleep. Utilising Quondong and Lilly Pilly, which is high in Vitamin C, when you wake, your skin will look and feel beautifully renewed! Parabens, Propylene Glycol, Sodium Lauryl Sulfate, Formaldehyde, Omidazolidnyl Urea, Phenylenediamine, Mineral Oil, Alcohol, Aluminium, Coal Tar, Pthalates, Mercury.